​Jessica obtained her law degree from the Faculty of Law at Queen’s University. While at law school, Jessica participated in the Clinical Family Law Program, was a volunteer caseworker at the Queen’s Legal Aid Clinic and volunteered for Pro Bono Students Canada. Jessica articled at an insurance defence litigation boutique in Toronto and was called to the bar in 2011. After practicing insurance defence litigation for several years, Jessica joined LarsenLaw Group in order to pursue her longstanding interest in family law. Jessica’s focus is on resolving matters in the most expedient and reasonable manner possible. She is experienced in negotiation as well as court proceedings. 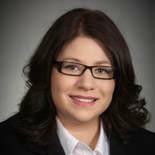 Jessica practices in the areas of Family Law, Residential Real Estate and Wills and Estates. If you have questions about your legal matter, Jessica would be happy to assist you.